Boho style meets rockstar look with this new Babylone long dress from french brand 1.2.3 Paris. This feminine dress with lace on the v-shaped neckline, flowing fabric and a floral print is from Spring-Summer collection 2017 and it's perfect both for daytime or for an elegant party. I wore it with a leather biker jacket, also from 1.2.3 Paris, for a rock twist. This jacket is incredibly soft and it'a an iconic, timeless piece that everyone needs. I decided to embrace Bohemian style also with my shoes, with Loriblu tourquoise suede mules with jeweled heel. Un look stile Boho e da rockstar con questo nuovo abito lungo Babylone del brand francese 1.2.3 Paris. Questo abito super femminile dalla scollatura a v con inserto in pizzo, tessuto leggero e stampa floreale è della collezione Primavera-Estate 2017 ed è perfetto sia per il giorno che per un party elegante. L'ho indossato con una giacca biker in pelle, sempre di 1.2.3 Paris, per un accento rock. La giacca è incredibilmente morbida ed è un capo iconico, senza tempo del quale tutti avrebbero bisogno. Ho deciso di scegliere lo stile Bohemienne anche con le scarpe, sabot in suede turchese dal tacco gioiello di Loriblu. I have fallen in love with this beautiful maxi dress as soon as I browsed through 1.2.3 Paris Spring Summer 2017 collection. I paired it with Gabriel black leather jacket for a sophisticated result, perfect for this time of the year (as seen in 1.2.3 Paris Lookbook). You can find so many different kind of clothes on 1.2.3 Paris, brand that represents urban chic at its best and creats high quality fashion at a reasonable price. This outfit is the proof boho style can also be elegant, and this look is composed of a few statement pieces - the dress, those mules - and an iconic piece, the jacket. What do you think about boho rock style? Check out 1.2.3 Paris also on Facebook, Twitter and Instagram! Mi sono innamorata di questo bellissimi maxi abito non appena ho sfogliato la collezione 1.2.3 Paris Primavera Estate 2017. L'ho abbinato alla giacca in pelle nera Gabriel per un risultato sofisticato, perfetto per questo periodo dell'anno (come visto nel Lookbook 1.2.3 Paris). Potete trovare tanti tipi di abiti diversi sul sito 1.2.3 Paris, brand che rappresenta al meglio lo stile urban chic e crea moda di alta qualità a prezzi accessibili. Questo outfit, composta da pochi pezzi particolari - l'abito, quei sabot - e un capo iconico, la giacca, è la prova che lo stile boho può risultare anche elegante. Cosa pensate dello stile boho rock? Seguite 1.2.3 Paris anche su Facebook, Twitter e su Instagram! Oh my beauty!!! Beautiful way how you've described and styled this outfit. Just like you've said, it's boho chic meets rock n roll kind of look! I'm obsessed with the pattern of the dress, it's so unique. Ma che bello questo abito.....meravigliosi i sandali, quei dettagli sono chic!!!!! What a great look, I really like the dress! È bellissimo quest'abito, e poi mi piace tantissimo il dettaglio delle scarpe! Adoro il tuo abito! 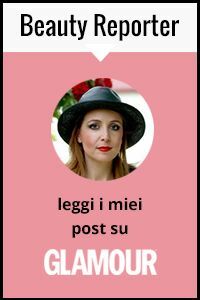 Sei una favola! Una splendida interpretazione dello stile boho-chic! Che cosa sono quei sabot!!!!!!!!!!!!!!!!!!! Love the color of your hair! That dress is amazing. What a beautiful dress, so lovely! Adoro quest'abito Vale! Che bella! Un bacio! Tesoro mio sei bellissima e l'abito mi piace davvero tanto! Non vedo l'ora di riabbracciarti! mi piaci in questo stile...e vogliamo parlare dei sandali??? scopri quel tacco! Ooh I love how you've brought both bohemian and rock vibes together - the outcome is so interesting! The maxi dress is super pretty on you and no wardrobe is complete without a leather jacket or two, right?! :) Hope you're having a great week! You look so dope!! I love it!! Mi piace molto questa tua interpretazione boho-rock! Bellissimo l'abito, e quei sabot hanno catturato subito la mia attenzione...sono fantastici!